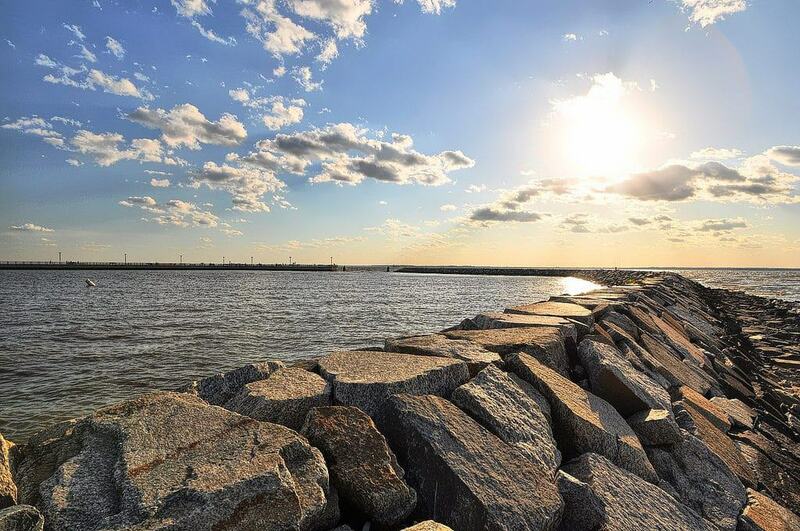 Maryland has miles and miles of coastline that stretches from the shores of Chesapeake Bay to the Atlantic Ocean. Whether you explore a free public beach or choose the remote route and take a speedboat to a secluded beach, it’s up to you, and it’s possible to do it all. Some beaches in Maryland advise their guests not to swim because of the strong currents; it’s important to respect these signs for your own safety. Depending on where you visit, some beaches may be protected with lifeguards, making them safer for children to swim at. Expect to come across many marshlands with refuges for wildlife. There are all kinds of attractions in Maryland, but let’s take a look at the 15 best beaches to check out in the state. 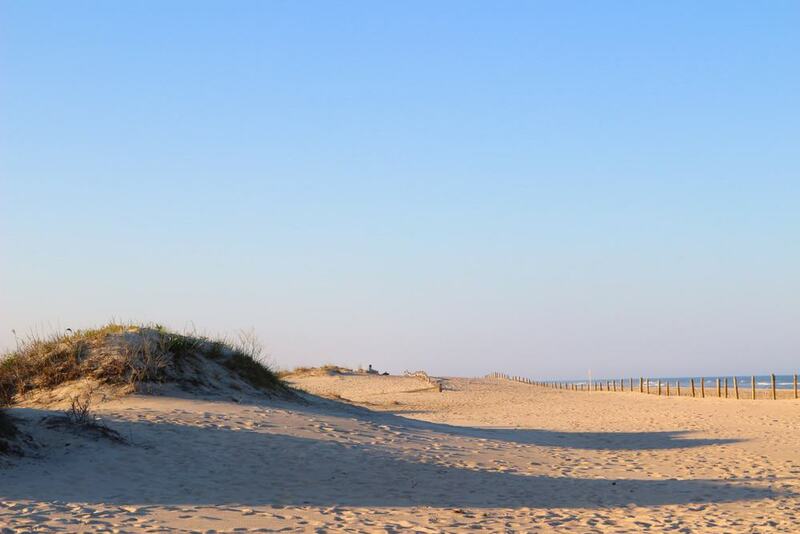 Ocean City Beach is a top-rated beach destination in Maryland. 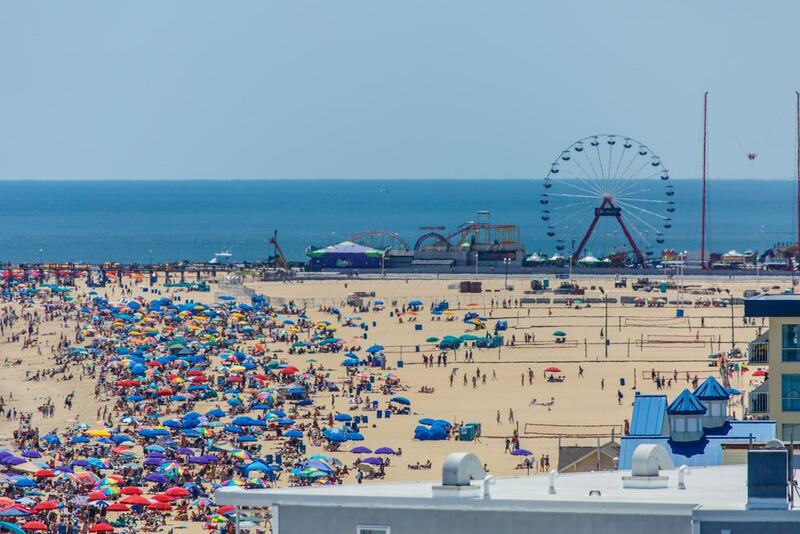 If you want to take public transport, there is an all-day bus ticket you can buy that will take you to all the main attractions in Ocean City. You can park at the Ocean City Park and Ride; there is plenty of free parking available. The beach is free to enter and is open from 6:00 am to 10:00 pm; keep in mind it is only patrolled from 10:00 am to 5:30 pm. There is a section of beach that is designated for surfers, and surf fishing is allowed 50 yards from the coastline. There are many events that go on at the boardwalk, so take a look at the schedule before you plan your trip. There are facilities nearby, including restaurants and shops. Wander through nature and experience a less commercialized park. 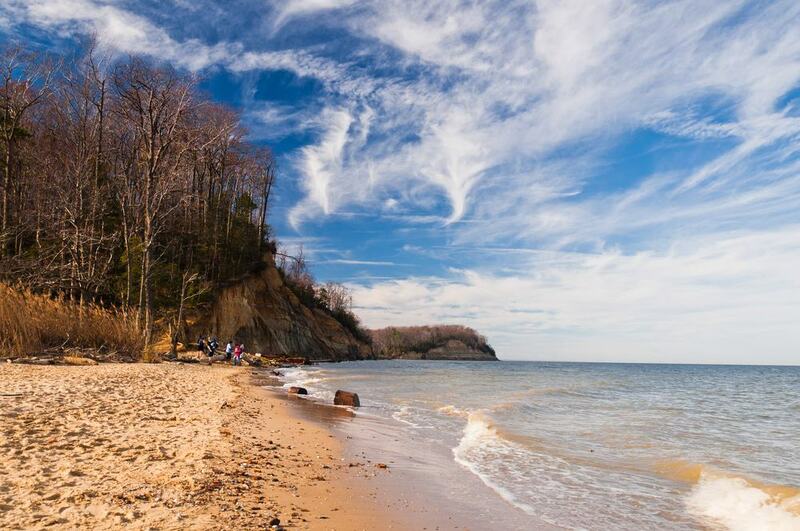 Calvert Cliffs State Park is situated on Chesapeake Bay. This area offers visitors a beach filled with unique fossils; a freshwater section and marshland area – which is great for fishing; a fun, sandy beach to lay on; and a recycled tire playground for children to enjoy. 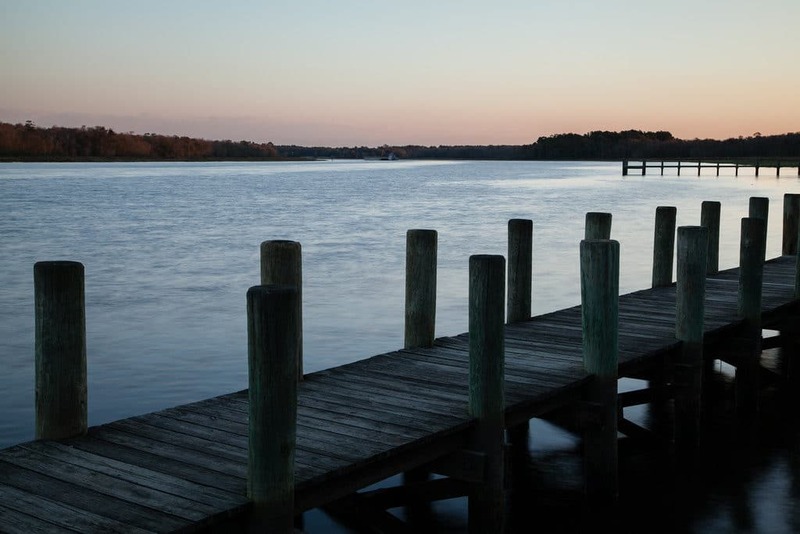 There are over 10 miles of trails in Calvert County, with beautiful, scenic views throughout. If you want to search for fossils, you can find them at the open beach area towards the red trail, around two miles from the parking lot. This area is fascinating; there are over 600 different kinds of fossils. Whether you want to go for a speedboat ride or a leisurely paddle in a canoe, Cherry Beach is the place to go. Open from dawn until dusk, it is great for water activities. The beach itself is not the best for swimming, due to the strong currents. Parking, picnic areas, and restrooms are available for the public, and the beach is free to enter. Cherry Beach is a laid back and simple place to relax and escape the city. It’s a great place to enjoy solitude. Sandy Point State Park comes with a million-dollar view and is open year-round. The 786-acre park is located along the northwestern side of Chesapeake Bay. This may just be the best picnic park in the state. The park was first opened in the 1950’s and is still a favorite amongst the locals. From swimming and crabbing to hiking, biking, fishing and picnicking, there are plenty of activities to keep you busy all day. 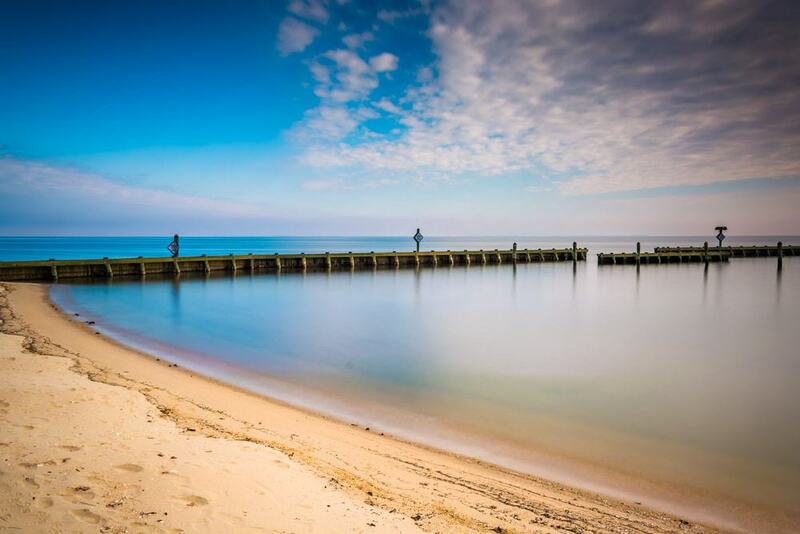 Whether you are fishing or boating, you have access year-round at Sandy Point State Park. If you want to rent a boat, there is also a marina. There is a minimal cost to enter the beach – paid per vehicle – but it is well worth it. Assateague Island National Seashore off the Atlantic Coast is known for its majestic wild horses. The waves are strong and so is the wind, which shifts the sand – making this island a picture-perfect piece of paradise. There is a wildlife refuge here, which is home to many unique species of wildlife. This island is on the coast of Maryland and Virginia and has 37 miles of coastline. Swimming is great on the island, so is kayaking, crabbing and clamming. Camping is the best accommodation option on the island, so come prepared. There are over 140 campsites with full functioning facilities. If you are in Maryland and looking to experience something a little different, Assateague Island National Seashore is the place to go. Wild horses are incredible to see and make for beautiful photographs. Deep Creek Lake is the largest body of water in America and is situated in the middle of the mountains. 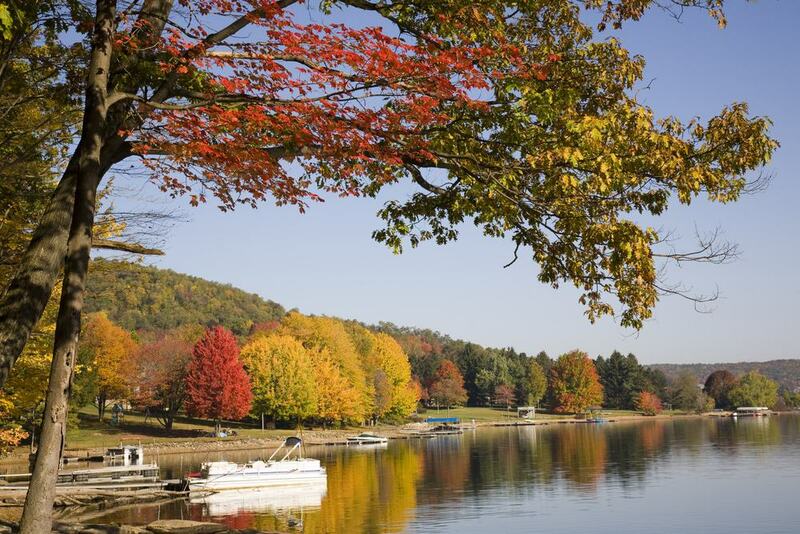 You can experience Deep Creek Lake during any season. Since the lake is quite calm, it’s a great place to paddle board and take in the scenic views. You can also check out one of the tallest waterfalls in Maryland. Whitewater rafting is a challenge, but there’s no place better to do it than near Deep Creek Lake. In the winter, there are many skiing options available and the area looks beautiful with the snow-covered mountains as a backdrop. You can also go tubing in the winter if you are not a fan of skiing. 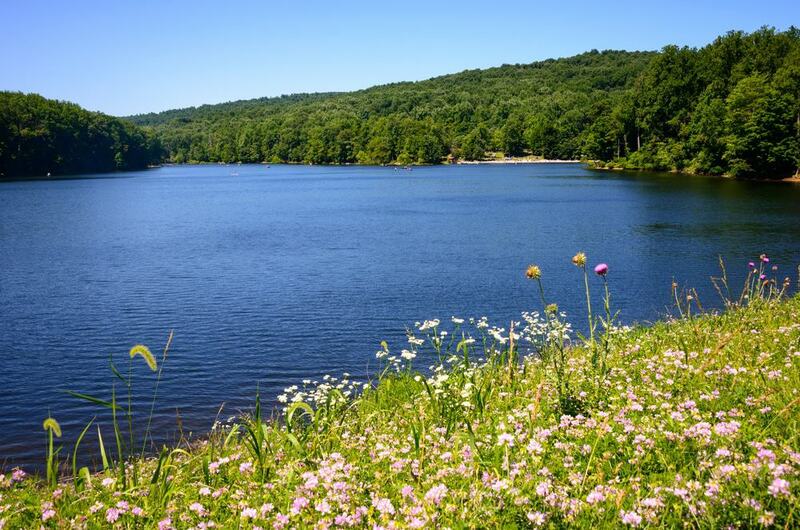 Once you reach Deep Creek Lake, all your worries will disappear. Found in the Catoctin Mountains, Cunningham Falls State Park is a place you don’t want to miss. Rent a cabin or choose a campsite and spend a few days enjoying the sites. From swimming and fishing to canoeing, hiking, and other outdoorsy activities, you won’t want to leave. If you want to bring your pet along, they are permitted in Addison Run, Manor Camping and Bear Branch. Pets are also allowed on all the trails. It’s important to note that people do hunt in the park; there are certain areas that are permit only. If you are a nature lover, you will thoroughly enjoy this place. 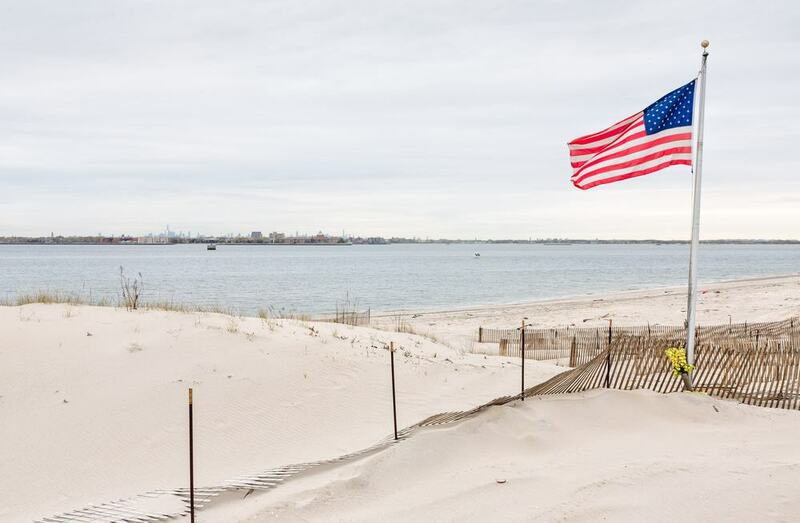 Breezy Point Beach is a great place to spend a few days and take advantage of the campground. It is a seasonal spot and offers great areas for swimming, fishing, and enjoying picnics. Admission fees range from $6.00 to $10.00, depending on the time you choose to visit. If you require a wheelchair, you can use a beach wheelchair if you give notice before your visit. There are restrooms, charcoal grills and concession stands for your convenience. Since the park fills up during the summer season, there are capacity limits; once the space is filled, people will be turned away. 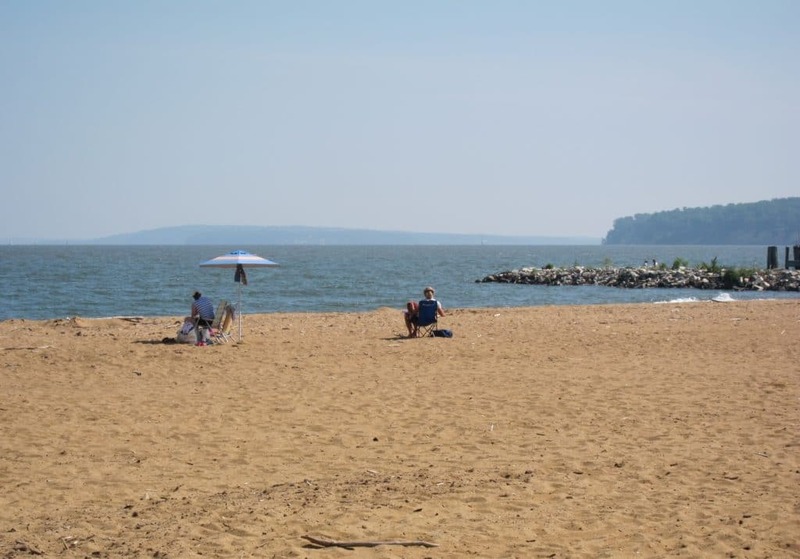 Matapeake Beach dates back to the 1930’s when ferries used to run from Annapolis to Matapeake to connect people from the east and west of Maryland. There is a clubhouse on site, which serves food and drinks after their commute. There is a public swimming beach that people can enjoy. Matapeake Beach is the perfect place to spend an afternoon and enjoy some delicious food and drinks. There is an outdoor theatre, which hosts events throughout the summer. This is a great beach to watch the sunrise or sunset; if you have time, stay for both. 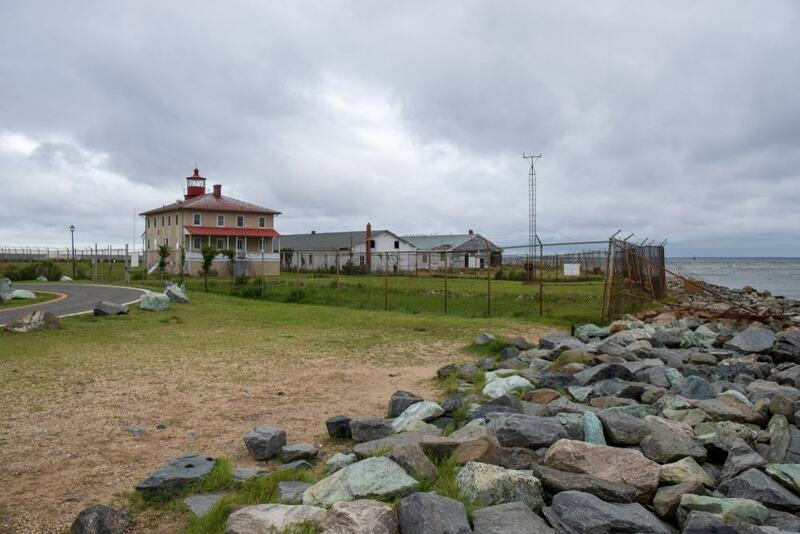 Many people are familiar with Point Lookout State Park because of the lighthouse, which is located at the south end of the park. If you want to learn more about the history of the park, there is a museum called Point Lookout Civil War Museum, which you can visit from 9-5pm from May till October. During October, Point Lookout State Park is a birdwatcher’s paradise. 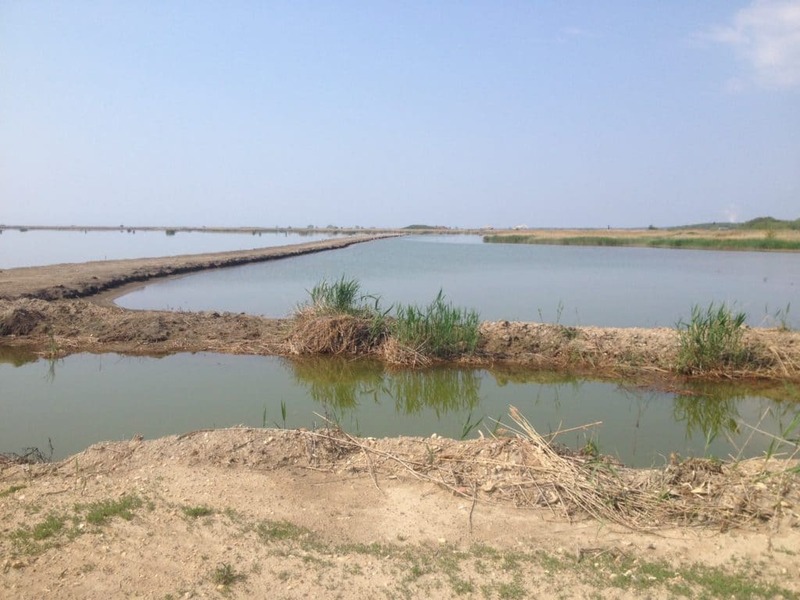 You will be able to spot raptors, songbirds, shorebirds and other species. If you’re into ghost stories, you’ll be thrilled to know that the lighthouse is recognized as one of the most haunted lighthouses in America. North Beach is a popular beach which offers many fun festivities throughout the summer. This beach is a “swim at your own risk” beach, but it should be perfectly safe to do so. Pets are allowed on the boardwalk but they cannot be on the beach or you will get a fine of up to $500. There are umbrellas and fishing chairs that you can rent, as well as single and double kayaks, paddleboards, bikes, and tubes. Chesapeake Beach is located in Calvert County on the western shore. It is a beach town with many different attractions. 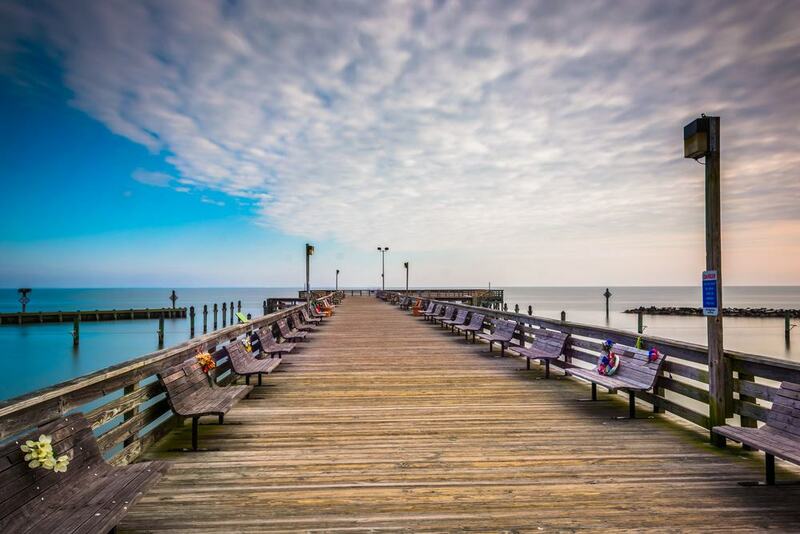 You can stroll on the Chesapeake Beach Rail Trail or take a chartered fishing boat from the marina. If you are a history buff, hit up the Chesapeake Beach Railway Museum to learn more about the area. There are many different accommodations to choose from, as well as restaurants, stores, and even a waterpark. Chesapeake Beach has all the facilities you need. 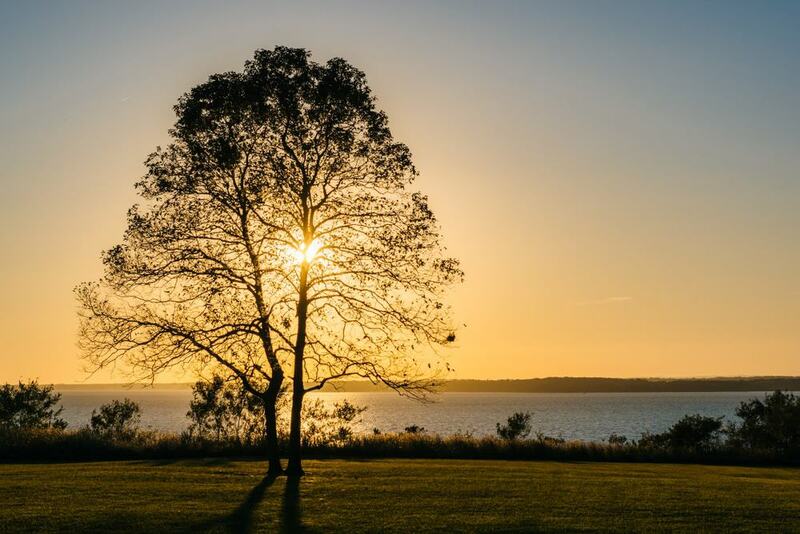 If you want to stay right on the waterfront, look into Chesapeake Beach Resort Hotel – the views are incredible. With a population of 350, Betterton – located in northern Kent County – was once known as a fishing village. With so much boat traffic coming from Philadelphia and Baltimore, tourism started to grow. Piers and hotels were renovated to prepare for all the tourists. The area started to turn into a resort town, which has now brought us Betterton Beach. 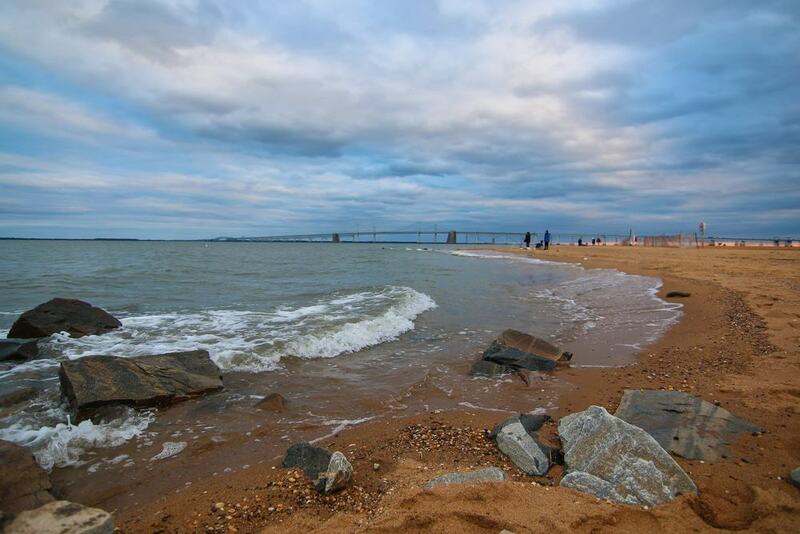 Betterton Beach has a five-acre shoreline, which has 700 feet of coastline access and a 300-foot facade for bathing. There are benches, restrooms and picnic pavilions for public use. Elk Neck State Park sits on a peninsula that was formed by Chesapeake Bay, located in Cecil County. With over 2188 acres of forest, marshlands, cliffs and sandy coastlines, this park is a great place to explore. All the forest areas can be used for hiking, biking, and camping. You can go boating, swimming, and fishing on the coastline. Many hunters come to Elk Neck to hunt white-tailed deer. One of Elk Neck State Park’s main attractions is the Turkey Point Lighthouse, which is found at the south part of the peninsula. This spot offers incredible scenery and views of Chesapeake Bay. The best times to visit the park are early in the morning or after 6:30pm. Hart-Miller Island State Park is situated in Baltimore County on Chesapeake Bay. You will need to take a boat to the park. With over eight miles of paths and views of a beautiful pond and Chesapeake Bay, you won’t want to miss exploring on the trails. You can rent bicycles if you would rather explore that way. Camping is available for the summer season, starting at the beginning of May and going to the end of September. Bring your pet along for the journey, because pets are welcomed on the island. There is a boat launch for boaters too.